This summer, Bangor University students travelled to Sri Lanka to undertake a voluntary Mental Health Placement with SLV, a graduate-led volunteering organisation, which runs psychology-focused placements in Sri Lanka and also in Bali, Indonesia. Here in the UK we live in one of the most multicultural societies in the world, but with this comes a great responsibility to develop an understanding of the many cultures that surround us. This is where students like Molly Andrews and Alice Duckworth are a step ahead by taking up international opportunities in an effort to create a cultural exchange and gain unique insight into global mental health. For today’s psychology students, who wish to pursue a career in the mental health sector, it’s important to gain worthwhile, hands-on work experience. Not only have Molly and Alice utilised and developed important skills in their chosen field of study but they have also developed an in depth understanding of mental health from an additional cultural perspective. During their placement Molly, Alice and the rest of the volunteer team planned and ran therapeutic activity sessions in psychiatric facilities for individuals living with a wide range of mental health issues. In addition to their time at the hospital, volunteers also worked at numerous schools and social initiatives for children and adults with disabilities and taught English in the local community. Many skills are honed and developed through working and living abroad. Most obviously, not sharing a common language can be a challenge and discovering new ways to make yourself understood without the aid of verbal language requires patience, innovation and creativity. The ability to be flexible and cool under pressure and to remain composed, even when things aren’t going to plan, are all attributes any future employer or educator would value. 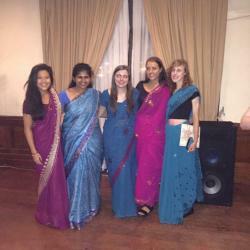 Bangor University students worked with the local community, as well as living with a Sri Lankan family. This completely immersive experience gave Molly and Alice a unique insight into Sri Lankan culture and daily life. The training provided is also delivered by local professionals and NGOs who know the country best. Even the most experienced and knowledgeable students can benefit from this cross-cultural exchange. Learning about mental health treatment in another country only serves to enrich one’s knowledge of global mental health and is advantageous for those looking to pursue a career working with individuals from diverse cultural backgrounds. 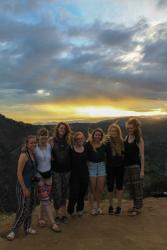 “I feel so privileged to have been able to spend 5 weeks in such a beautiful country with such amazing people. The appreciation from the service users and the bonds that you form with them is just so rewarding, it’s such a pleasure to get up in the morning and travel to see them. I never thought that I could ever have such close relationships with anyone after only knowing them for 5 weeks, but when you’re out there, experiencing all the ridiculousness Sri Lanka has to offer, you become a family, and the friendships you form are ones that will stay with you.” – Molly Andrews. “Not a day goes by that this experience hasn’t helped me in some way, or shaped the things I do. Every day brought about a challenge: the heat, the humidity, the buses, projects getting cancelled or changed, getting lost, being around strange animals! But when I miss Sri Lanka, I think to myself, what is it that I miss? I miss the challenges! I miss being thrown in the deep end and not knowing what to expect…waking up every day to the unknown. I also miss how good it feels to volunteer in the community. Someone has learnt something new because of you. Someone has smiled for the first time in a long time because of you. Or someone has picked up your accent because of you! I miss the people, the food, the culture. Everything was new and exciting, and I didn’t want it to end.” – Alice Duckworth.